In 1962, Bob Dylan told an interviewer: "The songs are there. They exist all by themselves, just waiting for someone to write them down. I just put them down on paper." Three decades later, he told another interviewer that his best songs had been written very quickly: "Just about as much time as it takes to write it down is about as long as it takes to write it." 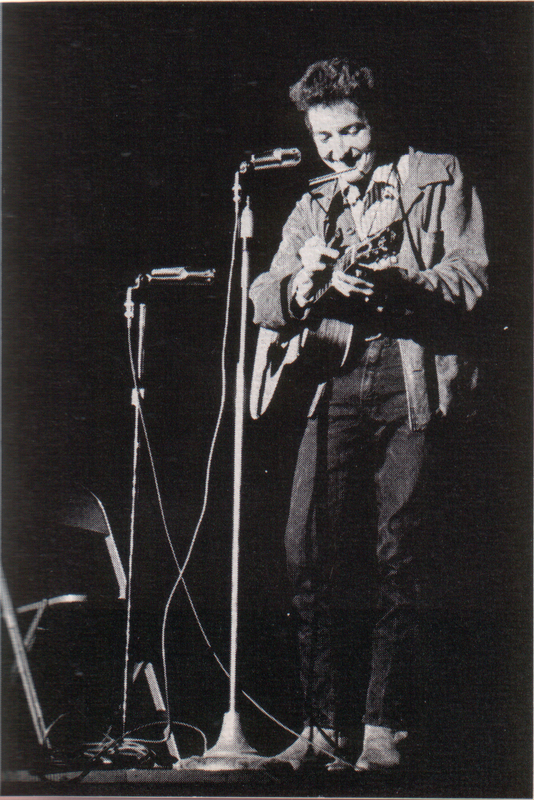 Bob Dylan, ca. 1962-63. Image courtesy Wikimedia Commons. Dylan wasn't alone in composing rapidly. Ted Hughes recalled that early in their marriage Sylvia Plath had written her poems slowly and laboriously, a thesaurus open on her lap, but that there had been a change early in 1961, when she began to write "at top speed, as one might write an urgent letter." In October, 1962, with Hughes banished for his infidelity, Plath wrote her greatest poems, "from dawn to when the babes wake, a poem a day." 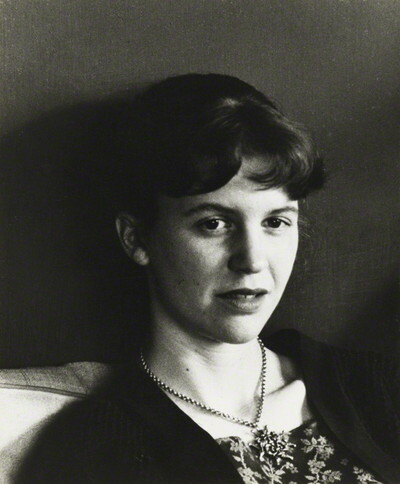 Hughes marveled that although in the late poems Plath controlled "one of the widest and most discriminating vocabularies in the modern poetry of our language...these are poems written for the most part at great speed, as she might take dictation." Although Plath was a minor figure in the literary world at the time, she had no doubt about her achievement. In a letter to her mother that October, she declared: "I am a genius of a writer; I have it in me. I am writing the best poems of my life; they will make my name." Sylvia Plath. Image courtesy National Portrait Gallery, London. 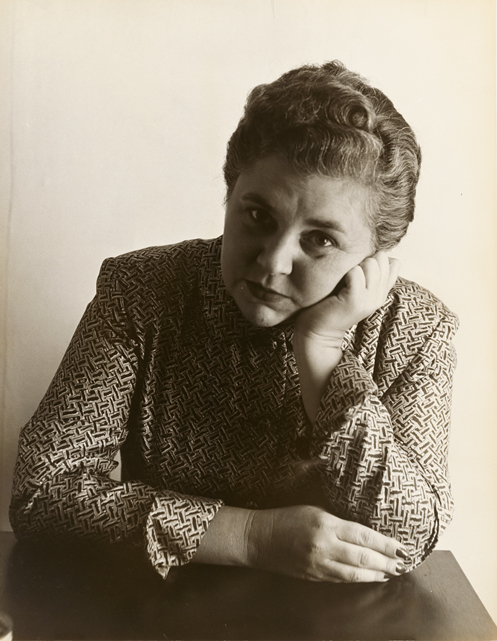 Elizabeth Bishop. Image courtesy National Portrait Gallery, Washington, DC. In 2004, Dylan told Ed Bradley that "Those early songs were almost magically written." An earlier conceptual writer was more explicit on the source of her creativity. 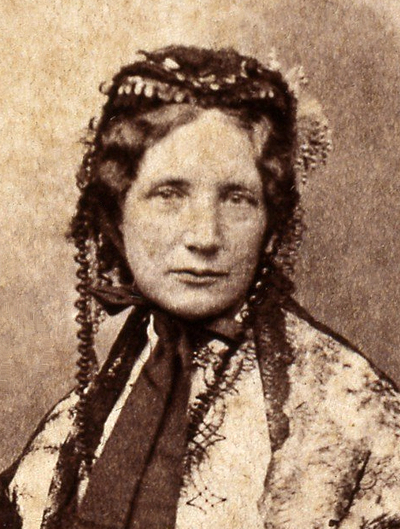 Harriet Beecher Stowe had never written a novel until one day, at communion service, she had a powerful vision of a slave being whipped to death. She immediately wrote out the vision, and Uncle Tom's death became the first scene of her book to be written. Stowe later explained that she had not written Uncle Tom's Cabin: "I only put down what I saw. It all came before me in visions, one after another, and I put them down in words." A biographer noted that Stowe was as mystified by the inspiration of her first novel as by the mediocrity of her next two dozen: "'God wrote it,' she said of Uncle Tom's Cabin, and she believed it." Harriet Beecher Stowe, ca. 1852. Image courtesy Wikimedia Commons. Not all conceptual writers work as fast as Dylan and Plath, nor do all experimental writers work as slowly as Bishop. But the differing speeds of composition are not accidental. Conceptual artists record ideas - their own or perhaps those of the Deity. These can be known with certainty, and often arrive fully formed. In contrast, experimental artists want to record their perceptions of external reality, and this process is often fraught with uncertainty and ambiguity. Hence the deliberate caution of Cézanne - "I seek in painting" - versus the confident certainty of Picasso - "I don't seek, I find."